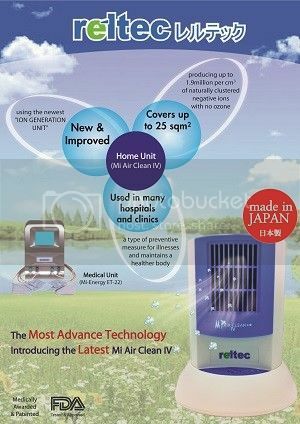 Reltec (Serumi) Mi AIR CLEAN IV (MADE IN JAPAN) is the latest and most improved model of Serumi, the negative cluster ion generator. 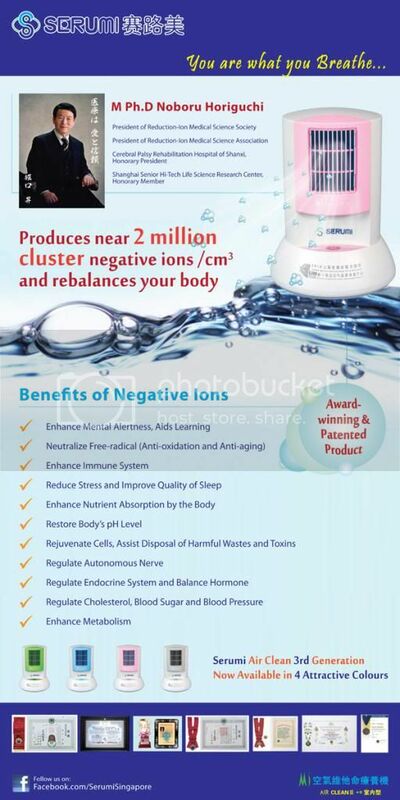 It is the ONLY wellness device that could produce reducing electrons similar to those in the nature. 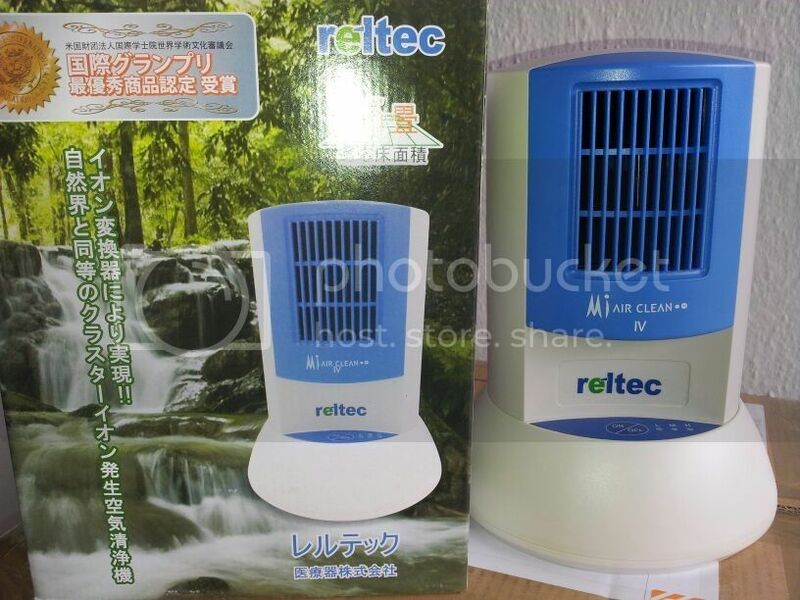 The Reltec (Serumi) Mi AIR CLEAN is able to generate enough negative cluster ions to fill a 25 square metre room with fresher air and Reltec IV can produce more than 1 million cluster ions per cubic centimeter. The Serumi Air cleaner is compact, economical and ideal for home use. It can cover an area of 25m2/ 270 square feet while producing up to 1.9million per cm3 of naturally clustered negative ions. 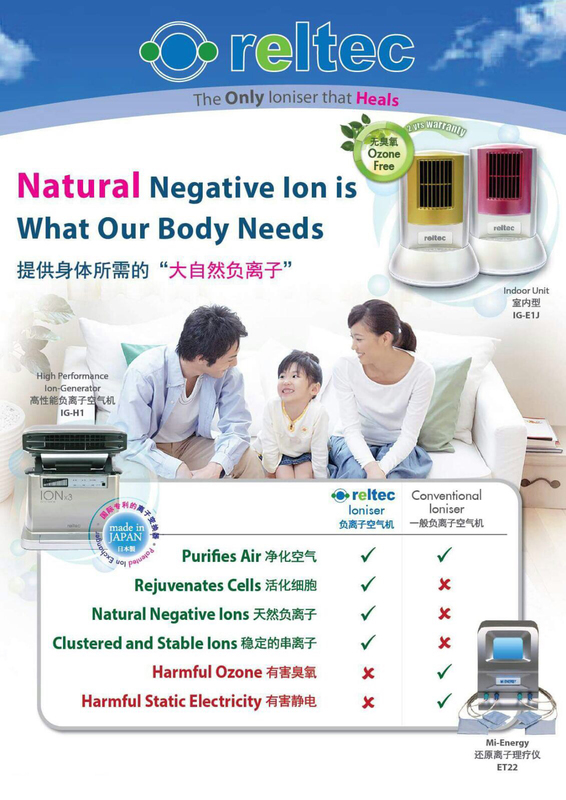 Compared to its previous generations and other air purifiers, it produces a much higher quantity of beneficial negative ions, without any potentially harmful ozone. Being relatively small in size, the Air Cleaner is easily portable. This device has quickly gained popularity among society as a preventive measure for illnesses. It is available in four colors. Air Ion tester included.